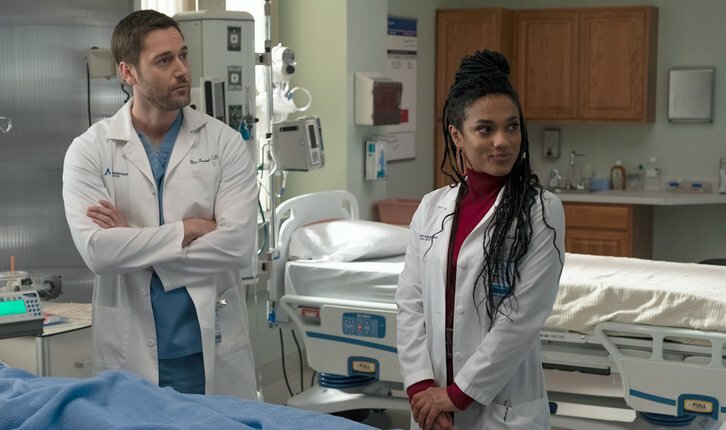 11/27/2018 (10:01PM - 11:00PM) (Tuesday) : Max (Ryan Eggold) convinces Dr. Sharpe (Freema Agyeman) to take a risk on his course of treatment and Bloom (Janet Montgomery) grapples with a difficult conversation. Meanwhile, Dr. Kapoor (Anupam Kher) considers helping his son in a big way after some advice from a friend. Also starring Tyler Labine as Dr. Iggy Frome and Jocko Sims as Dr. Floyd Reynolds.